2. Comfort and Ease = Invisalign’s material not only allows for an invisible look, but also a comfortable feel. There is no poking or prodding, and no painful emergencies such as a broken wire or bracket. Dr. Glaser says this is a huge benefit, as it prevents setbacks in the treatment schedule while also making for a more relaxed patient experience. Plus, Invisalign is the only system that is completely removable. Glaser Orthodontics believes this is one of the best benefits of Invisalign near Buchanan, NY. Patients can brush and floss teeth more thoroughly, aiding in better oral health throughout orthodontic treatment, and do not have to worry about trapped food between metal braces causing cavities. 3. Real Results = The third reason Glaser Orthodontics urges patients to get Invisalign near Buchanan, NY is their great results. Of course, the end goal of any orthodontic treatment is to get straight, better functioning teeth. 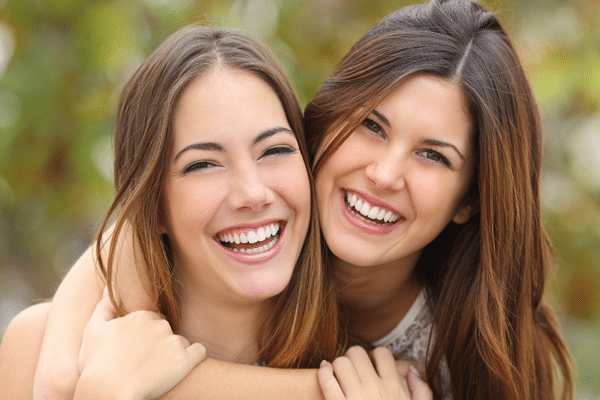 Like other orthodontic treatments, Invisalign helps accomplish this. However, unlike other treatments, when Invisalign comes off, the teeth are whiter and healthier, in addition to being straighter. This is because the removable nature of Invisalign allows patients to continue to use whitening toothpaste or strips, and the elimination of attached metal parts also eliminates the possibility of blotchy discoloration and staining. And, better brushing and flossing means better overall oral health near Buchanan, NY. At the end of the Invisalign treatment, patients get the best results from orthodontic treatment with Glaser Orthodontics. Invisalign near Buchanan, NY is one of the best orthodontic systems. Patients of all ages, including kids, teens, and adults, can enjoy the many benefits of Invisalign such as their comfort, look, and great results. If you have crooked teeth and think Invisalign may be right for you, schedule an appointment with Glaser Orthodontics. Dr. Glaser and the team will assess your personal case and help you get your Invisalign treatment started. Contact us today at 914-739-6400.